DE Running Mom: My Favorite Marathon!! Life has seriously been a nonstop marathon for weeks! On December 6 I ran one of my favorite marathons ever... the Rehoboth Beach Seashore Marathon. There are so many things I love about this race .. It is in my home state, the field size is less the 2600 runners for the full and half marathon, the course is beautiful and flat, I always have a ton of friends who run this event and I can literally walk .25 miles to the start of the race right before the race starts ... also the after party is amazing!! So this year I was a little burnt out going into the race and had a feeling I was not going to PR and shockingly I was ok with that. I love this race and have raced either the half or the full since the race started. Mary Beth Evans is the BEST race director I have ever met and definitely goes above and beyond for the event and the runners!! Plus, look how cute her sparkly jeans are with her Mizuno sneaks!!! Jen, Mary Beth and Me! If you haven't tried Surf Bagel you must do so asap! We hit up the outlets and did a few hours of shopping before heading into town and going to packet pick-up, I love how efficient and easy packet pick-up is for this event! I got to see my friend Lori ( she is an awesome trainer and the Y running coach )! After I got my bag, shirt and bib I met my parents and brother at Fins Raw Bar for lunch! We LOVE Fins and Tom the manager there is fantastic! We checked in at the Alantic Sands Hotel and relaxed for a while. I laid out all my Oiselle gear and did a little stretching and foam rolling. Race morning the temperature was perfect and there was barely any wind so I wrapped up in my Rigby's blanket and walked to the start! This guy was the best!! I felt great and was loving every second of the race! I saw my hubby at mile 2-3, then at mile 10, 18, 21 and 23. Miles 19.5 to 24.5 are on the Breakwater Trail ... which I normally love but I started to get the worst calf cramps and I am not sure if it was the trail or hydration that was causing them. Due to the cramps my pace slowed greatly on this portion and I had to stop and work out the knot in my calf! My hubby caught the struggle on film! I was afraid to look at him because I didn't want to cry! I told myself "do not let anyone pass you from here to the finish line" ... I am proud to say I didn't get passed! I am so proud of so many of my friends for crushing their goals and getting the BQ!! John CRUSHED his goal and crossed the line at 3:22!!!! This pic is awesome! And my fellow Oiselle runner Katharine was the overall female winner!! 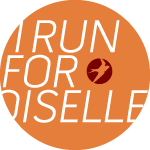 Woohoo Oiselle! The best feeling in the world is crossing the finish line and having your hubby, parents and friends cheering for you! I was 12th female and 3rd in my AG! I also snagged a BQ with 3:30:11. I do not have a pic with my hubby but he truly is the BEST! He drove down Friday night and got up early with me to go to the race. He is my #1 fan and I would be lost out there without him! After my race he drove back home to pick up our boys and drove back down to the beach again!! Since our hotel was so close to the after party I ran back took a quick HOT shower and went back to the party and to cheer on the final runners! A HUGE thank you and shout out to the 16 Mile Brewery Brew Crew!!! The best reward after a marathon is an iced cold beer! Boston 2016 here we come!! And this girl here!! I saw Jenn B at mile 18 ... she was exactly what I needed at that moment in the race! Dave was there too and cheering his head off for us!! 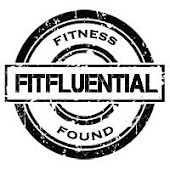 I cannot say enough about my running friends and how inspiring each one of them are! Jenn even snapped this pic of my at mile 18! I am so cool I run marathons with my eyes closed! Thank You again to Rigby's Rehoboth for sponsoring me for this event!! Make sure if you are in town you visit Rigby's and have an amazing meal and beverage!!! Please come run the Rehoboth Beach Seashore Marathon 2015 ... You will have the best time of your life!! 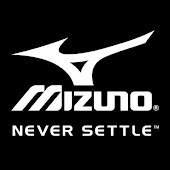 I also have to give a big shout out to Mizuno for their Wave Rider 18's!!!! These are by far my favorite sneaks ever!!!!!!! Happy Running & Happy Holidays!! !